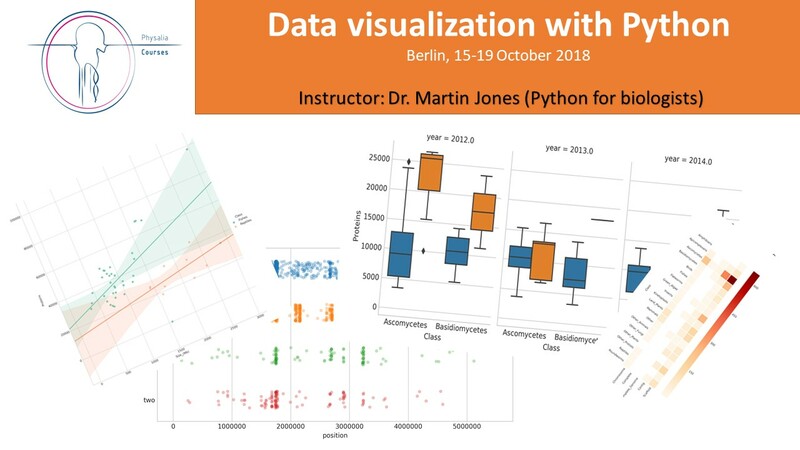 we will run a course on "DATAVIZ with Python" with Dr. Martin Jones this fall (15-19 October 2018). This course provide a stronger foundation in data visualization in Python. The course provides a broader coverage of the Matplotlib library and an overview of Seaborn (a package for statistical graphics). Integration between the most popular libraries has lead to the concept of a "scientific Python stack": a collection of packages which are designed to work well together. In this course we will see how to leverage these libraries to efficiently work with and visualize large volumes of data. Interested in Genomic Data Visualization?